Elephants are known for wisdom and for having excellent memories. Join their ranks in this Adult Happy Elephant Costume! It's great for many different themes: zoo, safari, circus, jungle. You could even be a royal mount for an Indian Rajah! Have you ever been to the zoo or the circus and upon seeing an elephant said, "Man, I'd really like to ride one of those things." If so, then this inflatable ride an elephant costume is for you! It's one of those costumes that is going to have everyone doing a double-take: "how's that little dude riding an elephant?? Wait a minute..." We think it's one of the funniest costumes around. 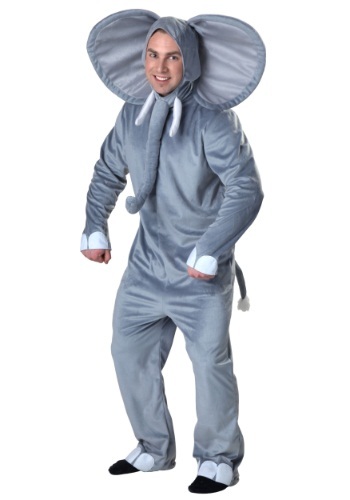 They say an elephant never forgets, and your friends and fellow party-goers won't soon forget this costume, either. 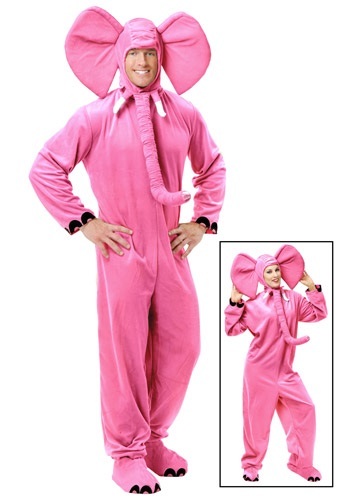 Become the elephant in the room--literally--when you wear this Adult Pink Elephant Costume! It's also available in child sizes, for a family theme. 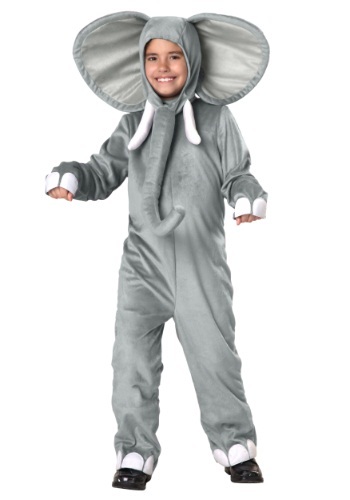 Your child can join the circus or a safari in this Child Elephant Costume. Make this a costume event he'll never forget! Just make sure you have lots of refreshments handy. elephants eat a lot. Do the elephant dance!Wait, your child doesn't know the elephant dance? You just move your head, and get that trunk spinning. Then jump up and turn around. Repeat and you're doing the elephant dance! They'll be able to dance or have a great costumed event in this super adorable costume. With soft construction and fur like fabric, it's a great choice for any event! 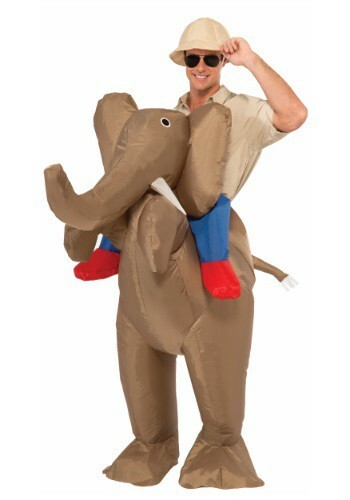 Any child who has ever wanted to ride an elephant now has a chance with this Child Ride 'Em Elephant Costume. It gives the look of actually riding an elephant, and can be worn over ordinary clothes. Great for a pretend safari! Be a big fat elephant with an elephant ears and tail kit. It comes with everything you need to be an elephant except for the safety pin. You'll have to get that on your own. You can decide if you rather be an African elephant or an Asian elephant! This Elephant Kit will turn you into one of the biggest animals in the jungle. This is a great way to assemble you own unique animal costume. 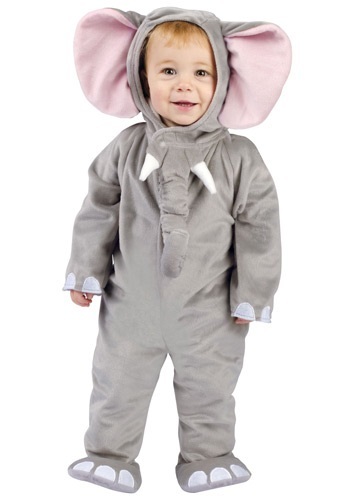 If your child loves gazing at the elephants in the zoo, then they'll love to wear this Infant Elephant Costume. This is a cozy and adorable costume for babies that will turn them into the gigantic mammal. Everyone loves kind and thoughtful elephants so it's easy to see why your little one would too. 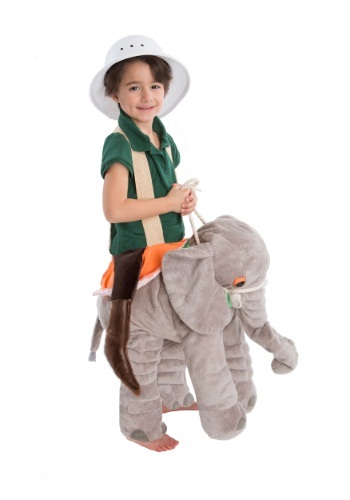 Make her Halloween extra bright with this Isabella Elephant Costume. This cute and cozy costume makes a great first Halloween costume idea! With how wild your little one gets, the zoo might not seem like a bad place to take him. One look at your child wearing this little elephant outfit and the zookeepers might just try to keep him. Be the happiest elephant in the zoo. Or the circus. Or at your costume party. Have a great time in this Plus Size Happy Elephant Costume! Nobody will dare to call you "Jumbo"--unless you want them to. Now you can be the 'elephant in the room' with this Plush Elephant Eyemask. Elephants are one of the largest and smartest animals around and now you can look like one. 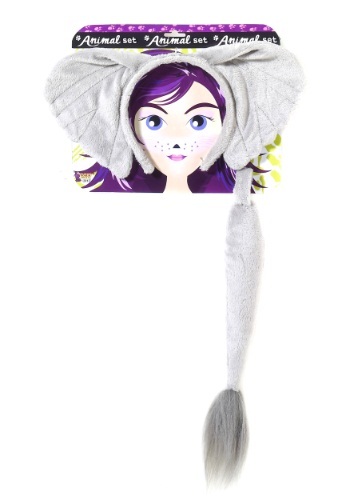 Start practicing your elephant call and wear this mask on a safari or to the zoo! They say that elephants are the wisest animals in the jungle, but this little elephant also wants to be king! 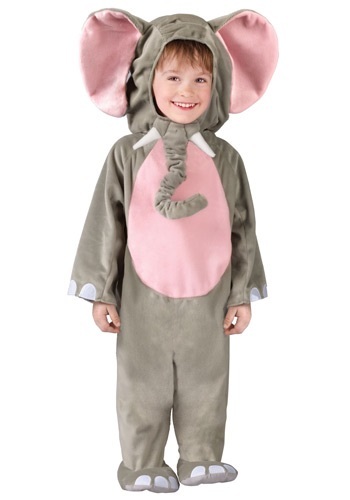 This cute Toddler Elephant Costume is a comfortable and adorable animal themed costume for little kids. Now they're really is am elephant in the room! Are pachyderms popular with your tot? 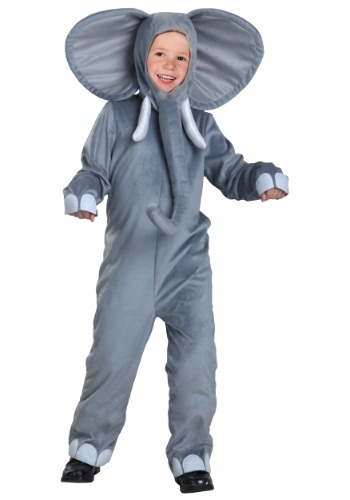 Then get him this Toddler Elephant Costume! He can be a Disney movie character, a circus performer, or the royal steed of a Maharajah in India. Or he can be the main attraction of an African safari. 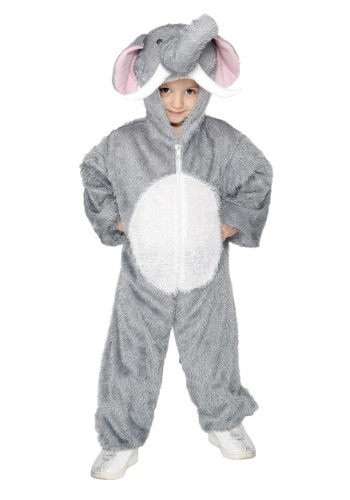 Get ready for the tiniest Elephant to take your home by storm when you outfit your toddler with this costume. They might not have the appetite of a baby elephant (or the roar) but they'll be a great furry friend to have around. And we're pretty sure that this wild animal will love getting a big ol' hug from time to time (elephants in the wild, not so much...). 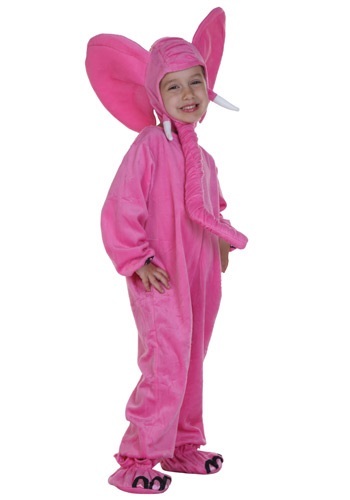 Get this whimsical and warm Toddler Pink Elephant Costume for your little one, and let her lead the circus parade!